Dennis Skinner: Nature of the Beast, 2017. A documentary taking an in-depth look at the life and work of committed socialist, trade unionist and Labour politician Dennis Skinner. 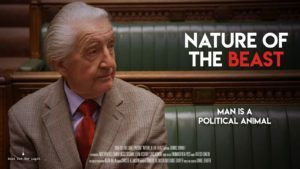 The committed socialist and Labour MP for Bolsover Dennis Skinner is shown a far softer side to his nature in this documentary from Daniel Draper. While there is an entertaining celebration of Skinner’s famously amusing quips and heckles during the annual Queen’s speech in the House of Commons, the film also draws attention to his love of gardens and a world outside politics. Indeed, one of Skinner’s most proud achievements was in scuppering Enoch Powell’s attempt to block stem-cell research. This plus a detailed look at family and work background – the ex-miner treats his political life as a job, just “like going to the pit” – produce a portrait of a figure different but complementary to the feared so-called ‘Beast of Bolsover’. Draper uses a combination of archived video and images inter-cut with interviews with Skinner and his surviving four brothers to show a clear view of a principled and hard working politician. Much is made of Skinner’s avoidance of socialising in the Commons bars or having anything to do with Conservatives, and a figure very different to the modern idea of a ‘career politician’ begins to emerge. 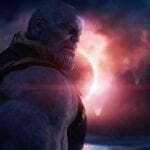 As with any biography of this nature there is a danger of lapsing into hagiography, but Draper mostly avoids this by keeping things on the level and sticking to the facts as far as possible. This plus idyllic shots of garden life, the magnolia flowers of St James’s Park and spoken memories of apple scrumping and sharing the wealth in rural Derbyshire paint a picture of an idealised world worth fighting for by any means. The technique of keeping interviewees on camera for a few moments after their comments also works well, humanising people and their political views in a sort of relaxed and informal way. An interesting and valuable account of one of British politics most noteworthy individuals. Robert W Monk is a freelance journalist and film writer.